Former Canadian junior track champion Charlotte Creswicke has passed away at 19 years old. Creswicke was a second-year student at the University of Waterloo studying therapeutic recreation. Creswicke represented Canada at the 2017 UCI junior track cycling championships in Montichiari, Italy, before joining Cycling Canada’s NextGen track program. 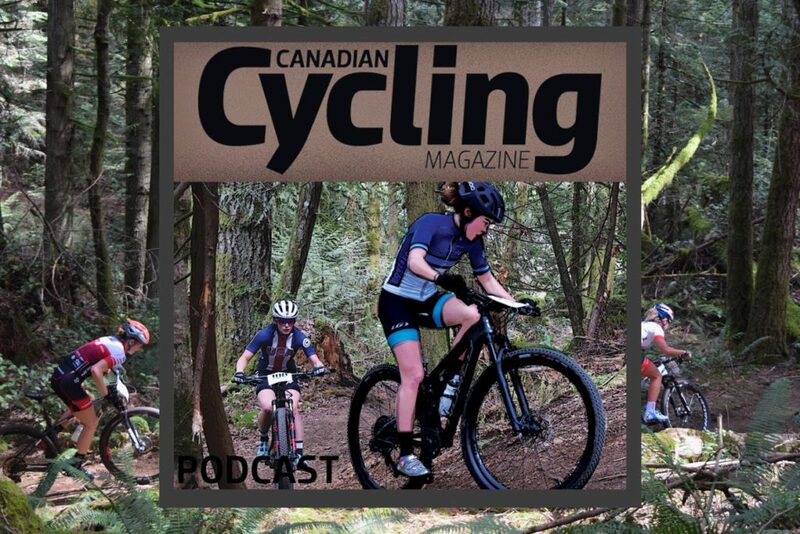 A graduate of Banting Memorial High School in New Tecumseth, Ont., not far from where she grew up in Tottenham, Ont., Creswicke competed on the road, mountain bike and track. In 2017, she was national junior sprint champion alongside Ainsley Black. She also earned a silver and two bronze medals in that year’s competition. “Charlotte’s loss is felt deeply within the cycling community and she will be missed greatly by all who had the pleasure of knowing her,” said Cycling Canada in a release. Charlotte Creswicke (center) won a gold medal at the 2017 junior national track championships. Let’s talk about mental illness. Let’s talk about how debilitating it can be. Let’s talk about fear and worry. Let’s talk about sadness and hopelessness. Let’s talk about sleepless nights and restless days. Let’s talk about tears and pain. Let’s talk. For a long time, I have struggled with anxiety and depression. Last year was definitely a pretty low one for me. I felt trapped in my mind, not feeling like anyone would be able to help me. I kept quiet, and it almost cost me my life. I can proudly say that I’ve been improving. I’ve been working on opening up and letting people in, which is hard and terrifying, but necessary. Don’t get me wrong, I still struggle a lot. Anxiety and depression will be things that I will always carry with me, and I feel the effects of every day. But I am not alone, and I can get through anything. Being brave, being honest, and being kind are so important to me. It takes bravery to be vulnerable to others when asking for help. And I’ve learned that sometimes I need to be my own superhero to be brave enough to fight my battles. I’ve also learned that some battles don’t need to be fought alone, and I have to be honest enough to both myself and others to say when I need help. Most importantly, it is necessary to be kind. Be kind to yourself and to everyone around you. You never know who may be struggling, or what others might be dealing with. A little kindness goes a long way. I am so thankful and so lucky to have some absolutely amazing friends and people in my life who demonstrate constant kindness. Mental illness told me that no one cared, but these people told me different. I hope that everyone can have a support system to rely on because, without mine, I don’t know where I’d be. #BellLetsTalk. Let’s talk about progress. Let’s talk about healing. Let’s talk about strength and resilience. Let’s talk about bright futures and sunny days. Let’s talk. In March, 23-year-old Olympic gold medallist Kelly Catlin, who was a student at Stanford University, died after a long struggle with her mental health. If you or someone you know is suffering from suicidal thoughts, there are a number of resources available including the Canadian Association for Suicide Prevention, which can be reached at crisisservicescanada.ca or 1-833-456-4566.